Asia-Pacific’s raw materials consumption cannot be sustained unless part of the $8 trillion needed for infrastructure development goes to resource efficiency, an ADB top official tells Devex. 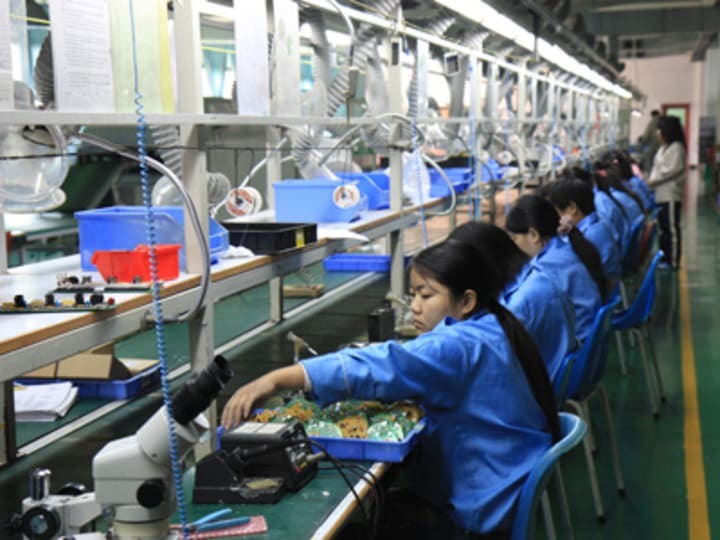 The region’s material intensity, or the quantity of material used to produce goods and services, now triples that of the rest of the world as manufacturing activities and wealth rise, according to a recent study by the U.N. Environment Program. The rate is environmentally unsustainable and stands in the way of Asia-Pacific’s transition to green growth, the report adds. But a top official from the Asian Development Bank says it is not too late to change this trend. “The challenge is to reduce material intensity while we are growing, and while we have industrial development going on,” explains Daniele Ponzi, ADB Lead Environmental Specialist and co-author of the bank’s Environment Operational Directions for 2013-2020. Ponzi tells Devex that reducing material will be attained through improving resource efficiency in the short term and for the long term, via a “second industrial revolution” that will span changes in the production and consumption processes, fiscal and policy reforms, and consumer behavior. However on top of these goals is the construction of sustainable, resource-efficient infrastructure in the region, he adds. In its 2012 annual report released ahead of the ADB’s Annual Meeting in New Delhi this week, the Manila-based institution estimated that Asia-Pacific will need about $8 trillion to finance infrastructure projects that will power economic growth in the coming decade. “It’s a huge opportunity to support investments which will get us into a virtuous cycle instead of a vicious one […] in terms of funding resource-efficient infrastructure than resource-intensive ones,” notes Ponzi. The environmental economist anticipated that of the $8 trillion, 20-30 percent should be channeled to resource-efficient infrastructure, particularly for the energy sector (energy efficiency and renewable energy). After that, sustainable infrastructure will also be needed for the transport, water and urban sectors, with two-thirds of the funds going to financing new projects and the rest to upgrading existing ones, Ponzi said. “This is one area that the ADB and governments should definitely support,” he urges the bank, which currently earmarks about $7 billion per year for new infrastructure projects in Asia-Pacific. Sustainable infrastructure is already a priority for the Asian Development Bank, the expert stresses. In recent years the private sector has also been increasing its investments in sustainable infrastructure and will be a key source of financing in the future, notes Ponzi, the ADB’s key strategist for the sustainable development goals and the post-2015 agenda. The economist also believes that resource efficiency can be further pushed under the post-MDGs framework.